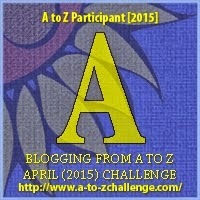 Welcome to the first day of the A-Z Challenge. My posts over the next month will be a selection of recipes from the 1800’s to the early 1900. Today’s recipe is from the well known Victorian cook Mrs. Isabelle Beeton from her Household Management book. Mode.—Butter a pie-dish; place a layer of bread and butter, without the crust, at the bottom; then a layer of apples, pared, cored, and cut into thin slices; sprinkle over these a portion of the lemon-peel and juice, and sweeten with moist sugar. Place another layer of bread and butter, and then one of apples, proceeding in this manner until the dish is full; then cover it up with the peel of the apples, to preserve the top from browning or burning; bake in a brisk oven for rather more than 3/4 hour; torn the charlotte on a dish, sprinkle sifted sugar over, and serve.